Suitable for industrial PC systems, commercial PC systems, embedded POS and ATM systems. KORENIX, represented in Australia by Global Automation , has released the JetCard RS-232/422/485 universal PCI multiport serial boards, which use the Oxford OXmPCI954 chip. The Oxford chip has a built-in four-port UART and a PCI controller, which provide high-performance serial data transmission and compatibility with the PCI interface. JetCard products allow the data transmission speed to be up to 921.6 kbps for each port, and support both 3.3V and 5V slots. 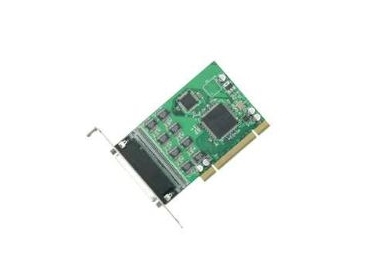 JetCard products are suitable for industrial PC systems, commercial PC systems, embedded POS and ATM systems. The Oxford chip has built-in bi-directional 128-byte FIFO, which alleviates CPU loading and enhances the efficiency of the system. This chip is also compatible with the industry-standard 16C550 devices. JetCard improves automatic software flow control by using XON/XOFF, and automatic hardware flow control by using CTS#/RTS# and DSR#/DTR#, allowing more stable transmission at both the receiving and transmitting end. Under multi-node two-wire RS-485 mode, the built-in high-performance RS-485 mode-switching logics can effectively increase RS-485 transmission performance. The JetCard multiport serial card copes with temperatures between -10°C and 70°C and tolerates high humidity. The JetCard W Series allows applications to work normally under temperatures between -40°C and 80°C. The JetCard driver supports Windows 98/Me/2000/XP/2003 and Linux. A self-diagnostic utility allow users to quickly examine the JetCards and make adjustments accordingly.